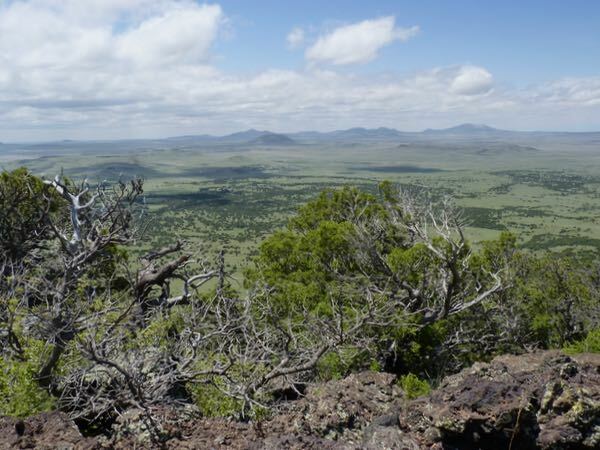 Capulin Volcano National Monument preserves the area around the nearly perfectly formed cinder cone of the now extinct volcano. The mountain rises 1,300ft above the surrounding terrain, and reaches 8,182ft at its rim. Its name derives from the abundance of chokecherry shrubs found there. Ponderosa and piñon pine trees, juniper trees, wild flowers, and prairie grasses are also found on its slopes. Various birds, mule deer, and other wildlife call it home. 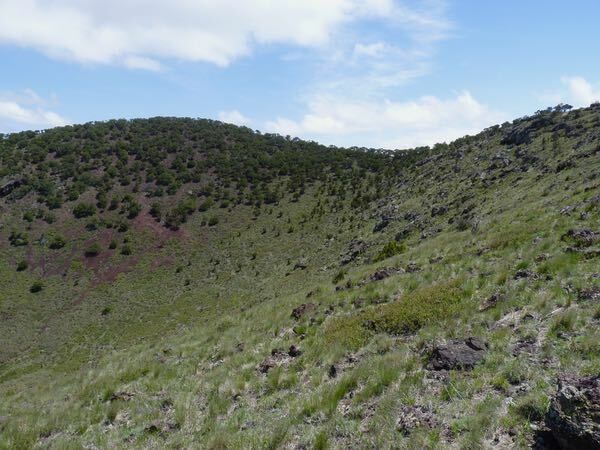 Several trails reveal different aspects of volcanic activity. 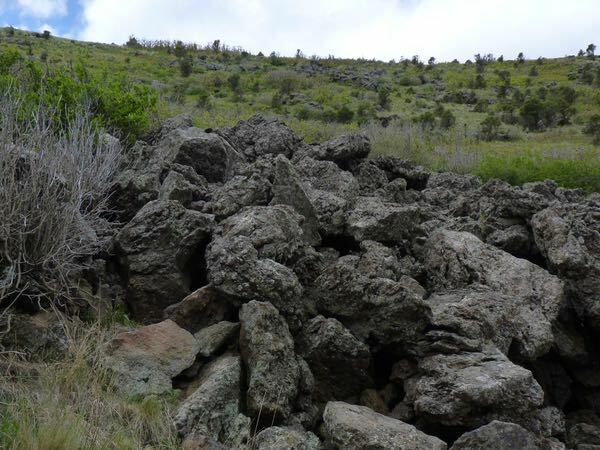 Nature Walk shows lava squeeze-ups; Boca has lava flows, lakes, tubes, and a splatter hill; Lava Flow goes up steep, rugged exposed slopes; Crater Rim circumvents the upper ridge; and Crater Vent goes down into the cone. Unfortunately, my legs were not up to much hiking. So, I limited it to part of the Rim, and into the Vent. There are also a picnic area, restrooms, and a visitor center with exhibits and bookstore. It was an interesting side trip between camps. I’m annoyed that I never heard of this place before! What a great side trip you took between camps. I love exploring these types of spots. 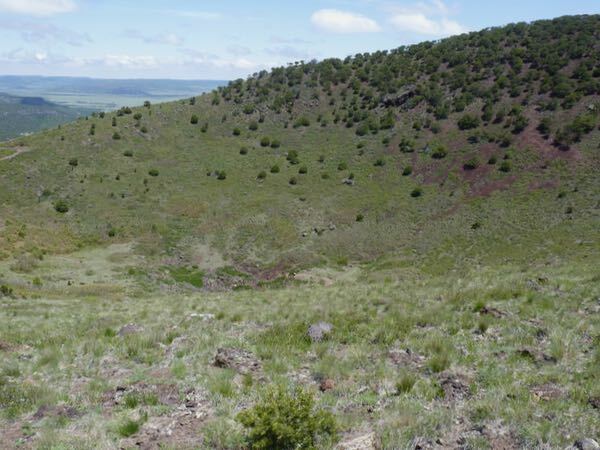 The Capulin Volcano shot is great. Should be used in a brochure of the place. The photo “looking from rim to southwest” reminds me of that song “on a clear day , you can see forever.” Any idea how many miles you were looking across? It was interesting. If you like geology stuff, you should go. The distance I would guess to be about 30 miles, maybe more. I love the shot of the volcano, but I could swear it looks like steam on top of it. I climbed a volcano in El Salvador but had to stop just short of the rim. Not steam; but rather, clouds hanging over the rim. 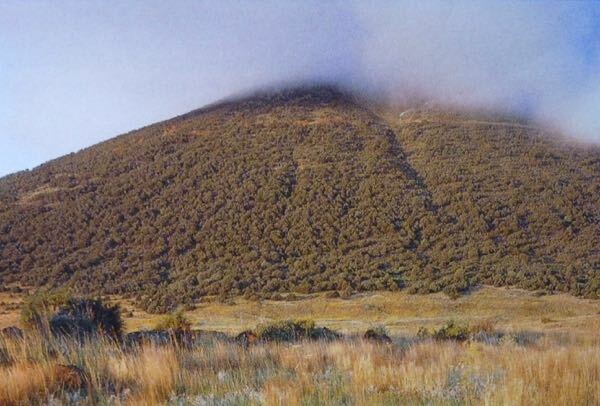 There is no venting on this long ago extinct volcano. Wow! You were brave to climb up one in Central America.